Wrapping up Candy Week is Cadbury UK. Or more appropriately, their A Glass and Half Full Productions. 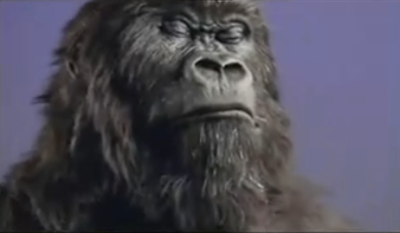 You've probably seen the Gorilla playing drums Ad that passed around a year ago. Over 3 million views is pretty damn good for a 90-second spot. Viral, check. 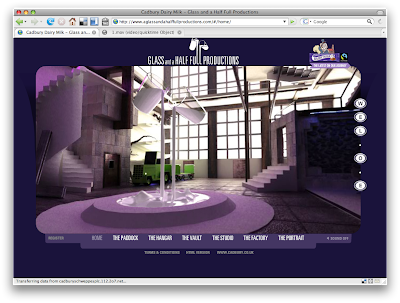 The home of Productions is a 3-D experience. The modeling is well done, simple and elegant. I was a bit astonished by the amount of ideas held in the confines of this space. Other than an obligatory video section, a repository of old Cadbury adverts, the site holds quite a bit of work over the last year. The STUDIO holds the Gorilla commercial, but also has a thumbnail gallery and link out to all the remixes of that spot on Youtube. A nice way to embrace your community. 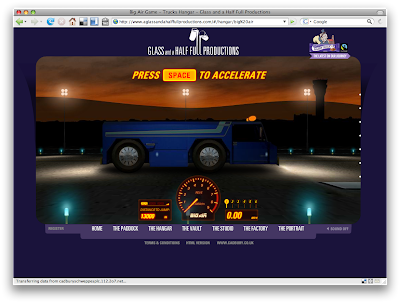 The HANGAR holds two things: A "Tricked Out Trucks" promotion, and a game. The Trick Out Trucks allows you to pimp out your own little milk truck. 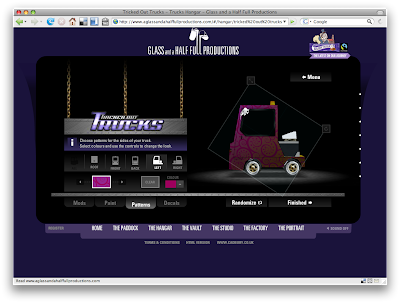 The options are quite extensive, allowing for some serious customization. There's a promotion attached, but I'm not sure what you win for best design, as the judging is happening now. The Game, while looking better than a majority of other adver-games, is more style than substance. And it's a bit disconnected, unless it's supposed to be connected to the Tricked Out Trucks, which would make sense considering it's placement in the site. And you're driving a truck. Just still seems disconnected to me. The FACTORY holds yet another promotional type device, although I think it's really just a clever way to get your email address. This time you select three ingredients to make a candy bar. If the bird likes it (and I'm sure he loves them all), they ask if you want to join an email list. The "Best" recipes are listed on the site. The PADDOCK holds a whole section based around another spot featuring two kids about to take a portrait. The kids wag their eyebrows to...well you might as well just watch it. There are two notable web components to just this one spot. One, was a contest asking people to submit themselves wagging their eyebrows to that song. The site says 5,500 people participated, which isn't anything to scoff at. The second is a web app that allows you to place eyebrows on any site on the web, and watch them dance on it. Goofy, but I did it anyway. The VAULT is password protected. It informs you to find letters throughout the other sections to gain access. I think it's the gamer in me that simply loves this mechanic. Nothing gets me hotter than seeing "0/10 secrets found". 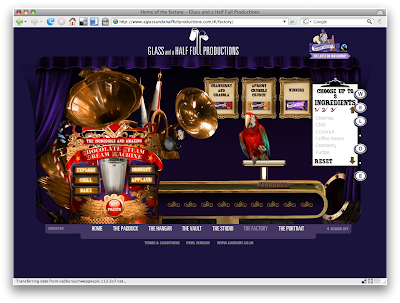 The integration of this mechanic within the site is well-done. Each "Letter" is a 3-D object in each scene. An "O" is a tire leaning up against the wall, etc. Nothing about this site was thrown-in. Over-all, this is a very good example of well-rounded creative. 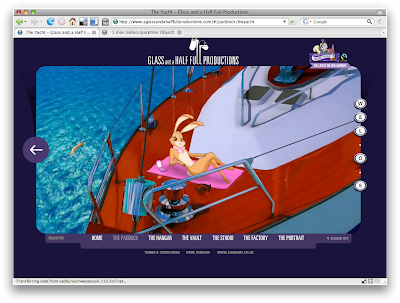 The site isn't a one-off to accompany a traditional campaign, but a home for the campaign. The Gorilla spot itself makes me think they were thinking YouTube first, BoobTube second. While there is nothing innovative (although the Gorilla spot is one of the best ad virals so far, I think), the complete package is built on a solid understanding of where advertising is online, right now. And with that I'll leave you with this image. Which for some reason made something happen in me. Not sure if I was disturbed, if it was unexpected, or if it stirred some old childhood thing.